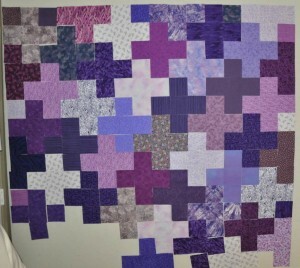 While I was cutting the pieces for my Purple Tempest quilt, I cut the squares for this quilt top. 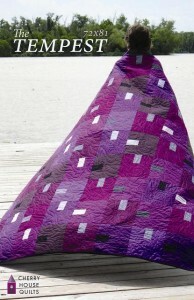 This is Purple Plus and it will be the third quilt that I am working on in my quest to STS (Slash the Stash). 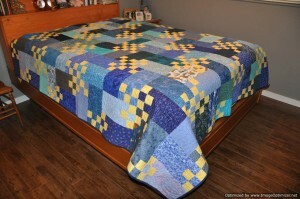 I got the idea for this quilt from a blog post by Cora Quilts. 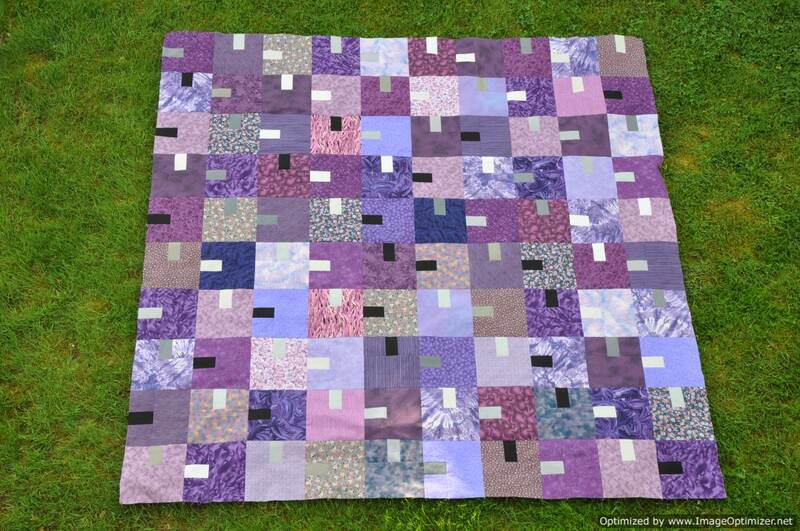 This quilt top is made from 4.5″ squares (19 rows of 16 squares each) – using a layout / pattern by Jeni Baker of In Color Order. 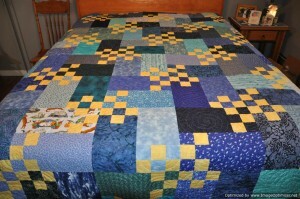 This quilt should finish about 64″ x 75″ which should make it a nice lap size. Currently, this is just squares on my design wall. Construction of this quilt definitely requires a design wall to lay everything out to make sure your light, medium, and dark fabrics are balanced in placement. Once I have made my final decision on my layout I can proceed with sewing the blocks together into rows. 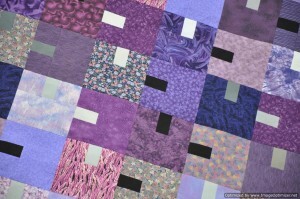 I am continuing with my commitment to use up my “Classic” stash fabrics (or Slash the Stash – STS). 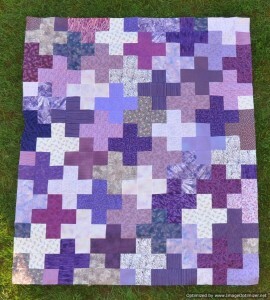 I decided after working on my stack of blues that the next colour that I would work on would be purple. I finished Purple Tempest tonight to the flimsy stage. 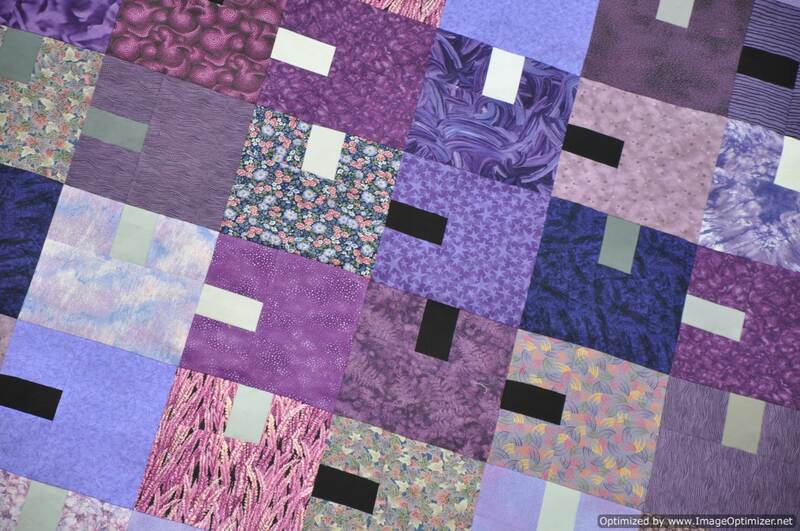 The blocks finish at 9″ square making this top finish at 90″ x 90″. I used Cherry House’s, Tempest pattern. I prefer the look of this quilt in solid fabrics but the whole point of this exercise was to use the older more traditional fabrics in my stash which are prints and tone on tones so no solids this time. 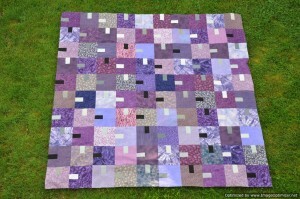 If you follow the link to Cherry’s blog you will see this pattern in many different colourways – all of them fabulous. Cher and I have decided that we need to use up some of the “Classic” fabrics that we have in our stash. We have proclaimed 2017 to be the year of STS – Slash the Stash! (I have also proclaimed 2017 to be the year to finish UFO’s.) I started at the end of November 2016 with my stack of blue fabrics. 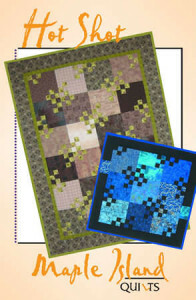 I have wanted to make the quilt pattern, Hot Shot by Maple Island Quilts for a while now. By the end of December, according to the pattern I had enough blocks to make the bed size. However, I made a design change and I decided that I wasn’t going to add the borders to my quilt like was suggested in the pattern so I needed to make more blocks to get my quilt up to a nice bed size – 87″ x 99″. I ended up making 56 blocks for a 7 by 8 grid. By January 2, 2017, I had my finished flimsy. I kept pushing on, determined that this project was not going to get added to the UFO pile. 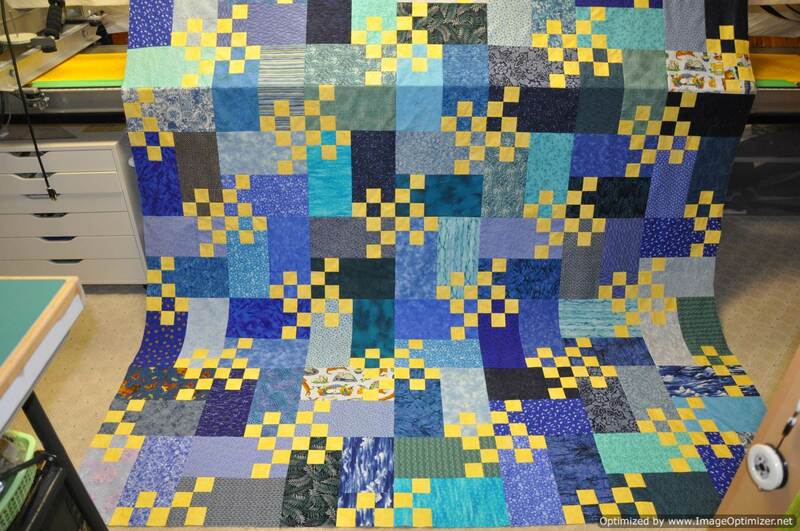 By January 15, 2017, the quilting was finished and on March 7, 2017, I took the last hand stitches on the binding.